Last week we attended our niece, Emily's birthday. You can more than likely guess what the theme was.....Frozen! Although she loves both girls, Elsa is her favorite. I took inspiration from Michelle Suit (Punch Art Queen herself - Love her!) 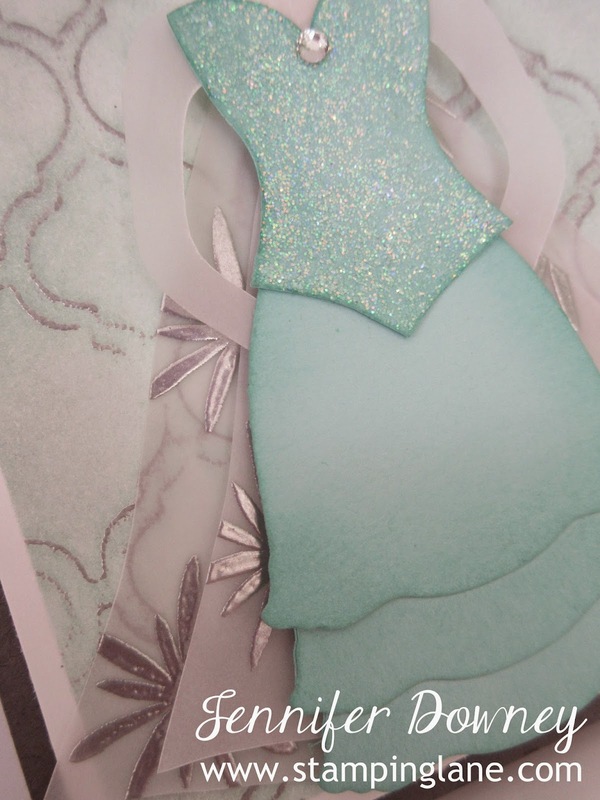 with my Elsa inspired card. I used the retired Dress Form Framelits to create the majority of her dress. I free hand cut the vellum shirt and cape. I didn't have any snowflake stamps...go figure! So I used a flower from the Flower Patch set that closely resembled one and embossed it using our Silver Embossing Powder onto the two layer vellum cape. I added our fabulous Dazzling Details all over the bodice of her dress and a single Rhinestone to give it lots of sparkle. The background was also fun to create. I used the Modern Mosaic Embossing Folder and applied Versamark directly to the inside of it on one side. Then turned it over and using my hands pressed onto the Whisper White card stock. I then Embossed it using our Silver Embossing Powder. It gave it just a little sheen that I was looking for. I then lightly sponged Pool Party ink over over the background to soften it. Here's a peak of the inside before I personalized it. 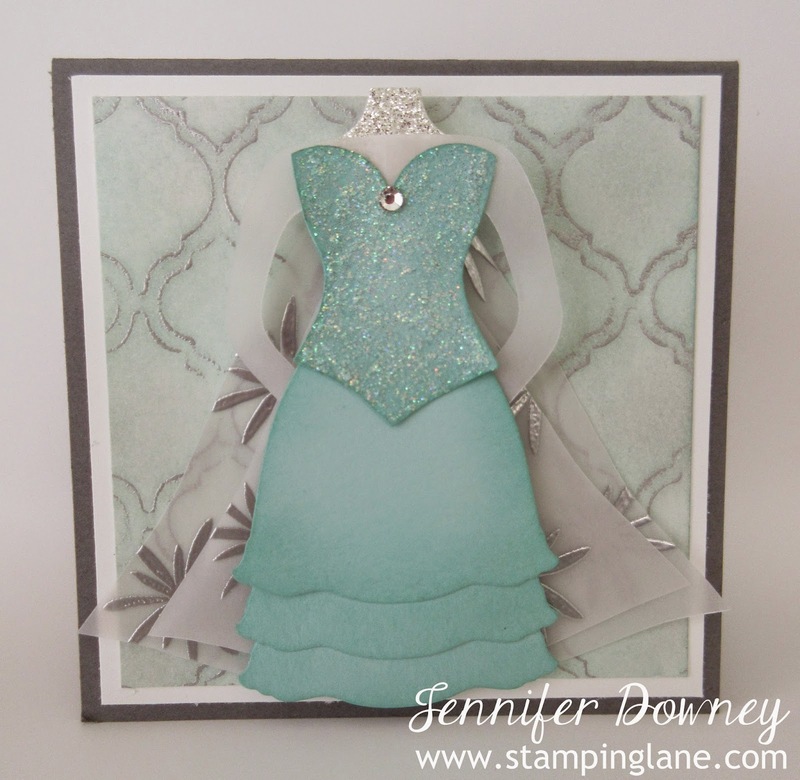 I used stamps from the Feel Goods and From the Heart sets and a strip of the background from the front of the card. This ended up being a 4 1/4" x 4 1/4" square card, so yes, it still fit in a regular envelope. This card took a little more time than usual to make, but she loved it so it was well worth it! Happy Stamping!